Canada, of course! Whisky is made in several of Canada’s provinces. 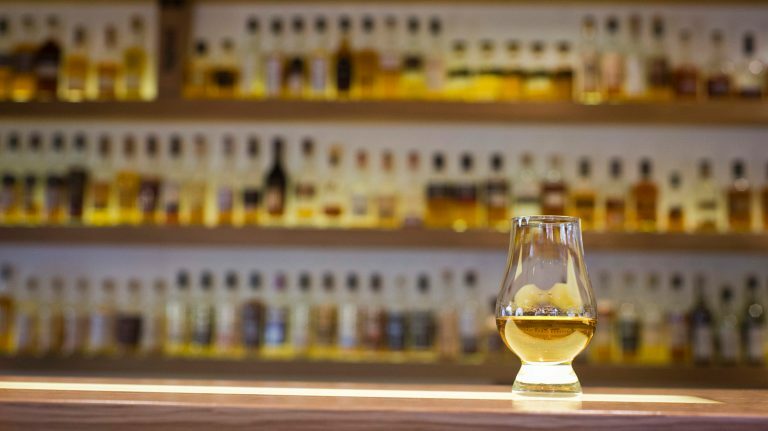 Canadian whisky can be made of any cereal grain, and a finished product typically blends several types of whisky—such as wheat, corn, and rye—which are all milled, mashed, fermented, distilled, and matured separately. Contain not less than 40% ABV. Canadian whisky may contain added caramel coloring and flavoring. In fact, Canadian whisky can contain up to 9.09% added flavoring, as long as it’s a spirit aged at least 2 years in wood or a wine. Most Canadian distilleries use column stills. Canadian whisky is typically a blend of base whisky and flavoring whisky. Base whisky is made by distilling to a high proof in a column still and aging in a used barrel, resulting in a lightly flavored spirit. Flavoring whisky is typically distilled to lower proof in a column still and may undergo subsequent distillation in a pot still. It’s then aged in barrels (new or used) that will interact more with the spirit during maturation. 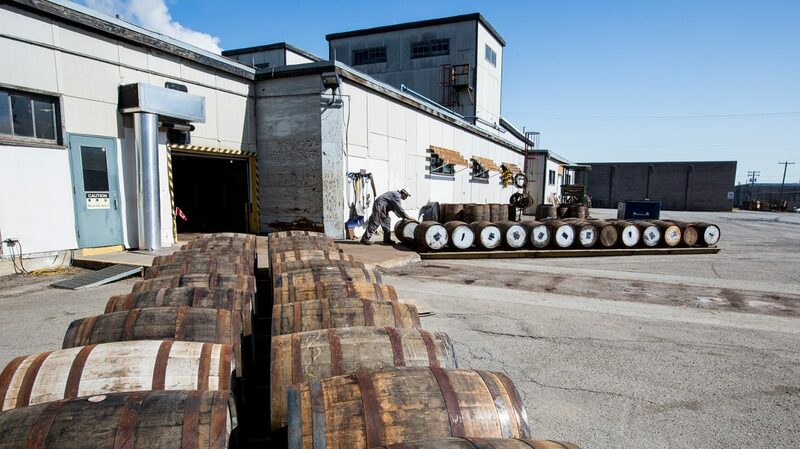 Most Canadian whisky is the product of a single distillery. 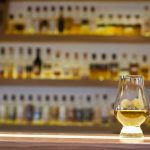 Although for much of the 20th century Canadian whisky aimed to be light and smooth, there’s much more diversity these days as blenders incorporate more rye content and other innovations into their products. Whiskies like Crown Royal and Canadian Club still meet the old flavor profile, but also offer 100% rye variations. 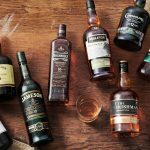 Newer brands, such as Forty Creek and Lot 40, focus on flavorful products that fall outside the typical Canadian whisky profile. I’ve heard Canadian whisky referred to as rye. Is it the same as rye whiskey made in the U.S.? Historically, wheat was Canada’s primary whisky grain. 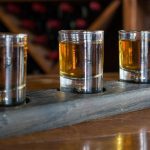 German and Dutch immigrant distillers began adding rye as a flavoring grain, and Canadian whisky eventually became known as “rye” whether it contained rye grain or not. Rye whiskey made according to U.S. regulations must contain 51% rye in the mashbill—so not every Canadian rye qualifies. 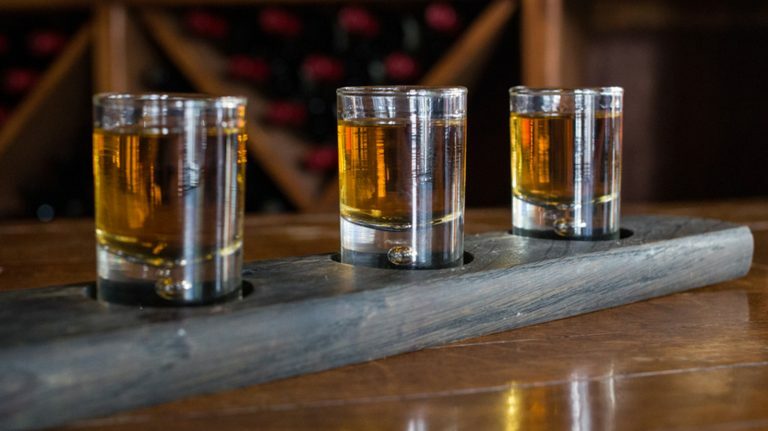 Can anything be added to Canadian whisky? Canadian whisky can have added color. It can also contain up to 9.09% wine or other spirits (as long as they’re aged at least two years in wood). That means there can be bourbon in your Canadian whisky! Aren’t some brands, like WhistlePig, actually Canadian whisky that’s bottled in the U.S.? In recent years, several new brands have cropped up that are marketed in the United States, but made in Canada. These include WhistlePig, Pendleton, and Masterson’s. Any whisky that originates in Canada must state “Product of Canada” on the label. Canadian whisky’s diversity means there’s a lot to explore—find stories and information here. 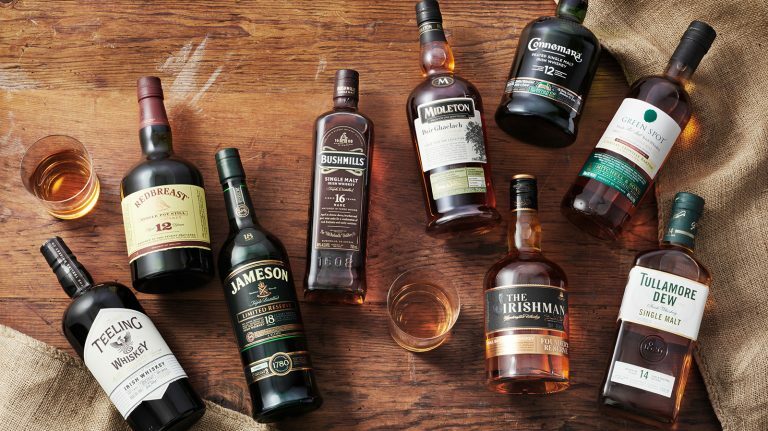 What makes whiskey from the Emerald Isle unique? We’ll tell you.